Build up your toddler’s creativity, confidence and imagination with construction toys designed for little hands and big imaginations! 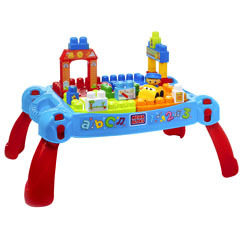 Explore endless possibilities with Mega Bloks building blocks, and create towering structures, zooming vehicles, funny animals, or anything else your little one can dream up! Whatever way they like to play, the fun keeps rolling with the Mega Bloks Block Scooping Wagon! Big blocks, bigger imaginations! 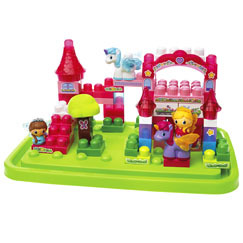 Inspire endless creativity when they build with Mega Bloks. One bag, endless possibilities! Inspire boundless creativity with the Mega Bloks Big Building Bag.